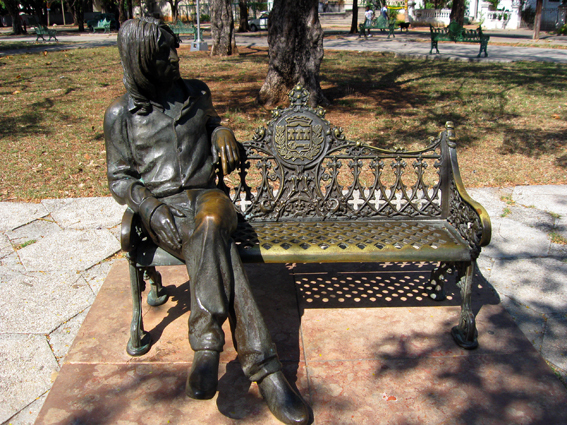 John's bronze statue in Havana Cuba. John's bronze statue in Havana Cuba. Wallpaper and background images in the John Lennon club tagged: john lennon havana cuba. This John Lennon photo contains پارک بینچ.